Back to school season is here and many of you are already shopping for supplies and gear. It’s a great time to shop at smile.amazon.com and Amazon will donate to United Way of Kent County Inc. Just go to smile.amazon.com and choose United Way of Kent County as your preferred charity, then Amazon will donate to United Way of Kent County with every purchase you make! Purchase with purpose. 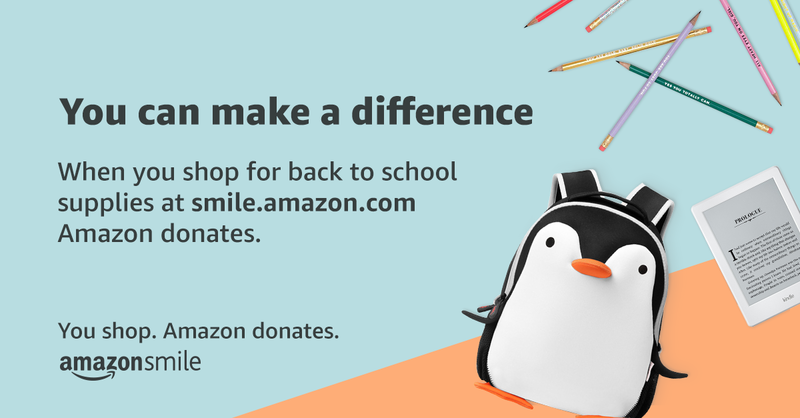 Amazon donates to United Way of Kent County Inc when you shop for back to school supplies at smile.amazon.com.